It is a goal for many of us in focused training with positive reinforcement that our horse autonomously performs a chain of behavioral responses even if it is not rewarded for each partial response, and even if the trainer does not indicate the behavioral response that follows next. Especially film and circus horses need to perform a complete chain of behavioral responses without floundering or omitting partial steps. Yet, it is not the biggest challenge to establish such a chain of behavioral responses but it is much more demanding to maintain an already established chain. This can be tricky business because the behavioral response rewarded the most, the one that in total offers the most formative reward history, will be reinforced most effectively. In consequence, the horse will prefer to perform only this behavioral response, will likely repeat it, and perform it most cleverly. 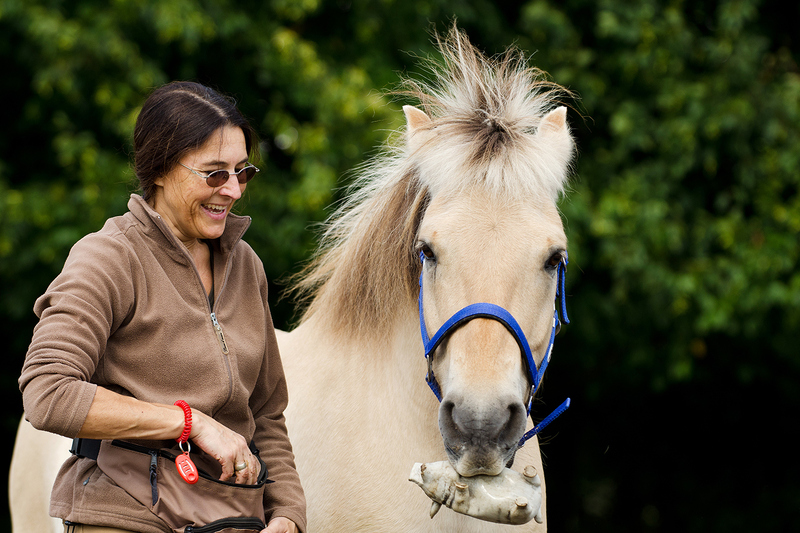 The horse will probably focus the most on the last behavioral response, the one after which it directly receives a click and a treat, if you always practice the whole chain of responses as soon as you have established a complete sequence of behavioral responses through extensive training. It can easily happen that your horse will try to perform only this final behavioral response because, from it’s point of view, it does not pay off to present all the other elements of the chain. We have scored a classic own goal if we believe that it is enough to establish a chain of behavioral responses, and we never request the singular elements in isolation. Professional trainers monitor closely if a link of the chain becomes weaker. They do not wait until the whole chain is broken but consider the various elements of the chain essential single lessons, that need to be freshened up over and over again. So, in training they often “only” practice the basics, and reserve to present the complete chain of behavioral responses at rare occasions.